Elevate your every day with a sedan that proves the good life is well within reach. Show off a head-turning new look. Key in your next adventure and go. Feel secure with available advanced safety features that help keep an eye out. Pull up. Open some doors. Fill an impressive interior with friends, and stay out longer, thanks to remarkable fuel economy. 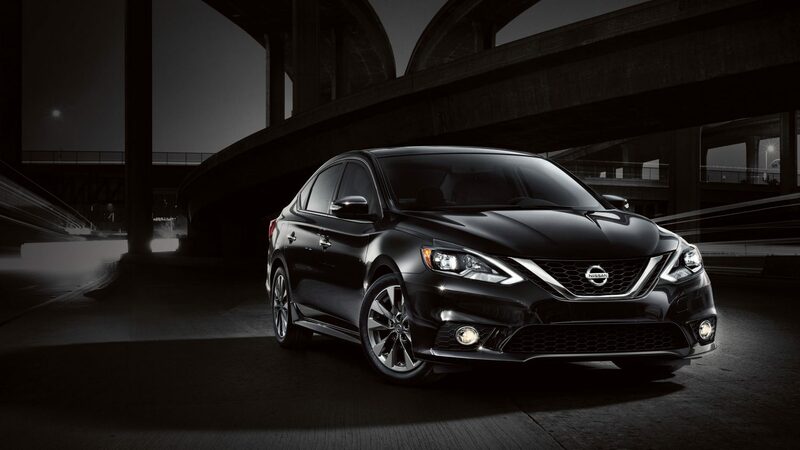 The new 2016 Nissan Sentra. Enjoy more of everything. Kilometres, performance, fun – get more of it every day. 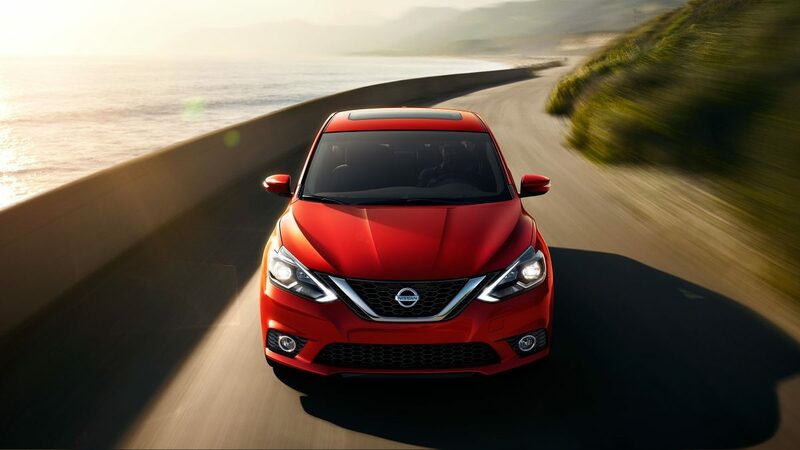 Sentra delivers with exceptional fuel economy in a roomy, comfortable car that’s a joy to drive. A redesigned aerodynamic exterior cuts through the air, while the 1.8-litre engine teamed with an available super-smooth Xtronic CVT transmission helps maximize efficiency and performance. Why play it conservatively when you can have more? 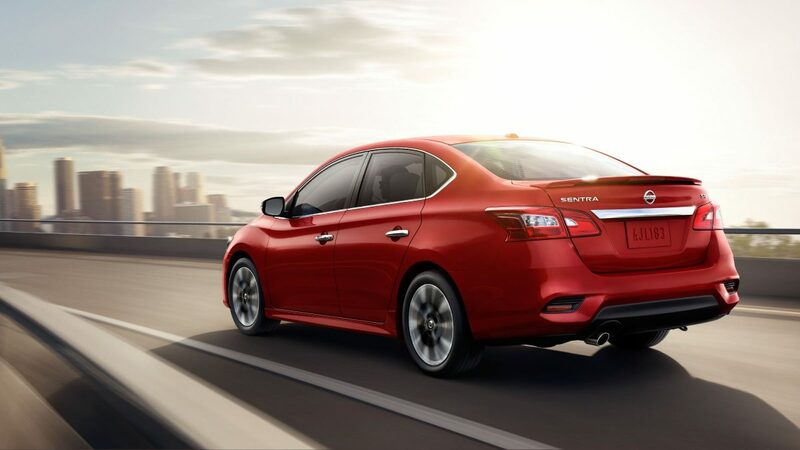 With a redesigned exterior, the new Sentra cuts through convention. 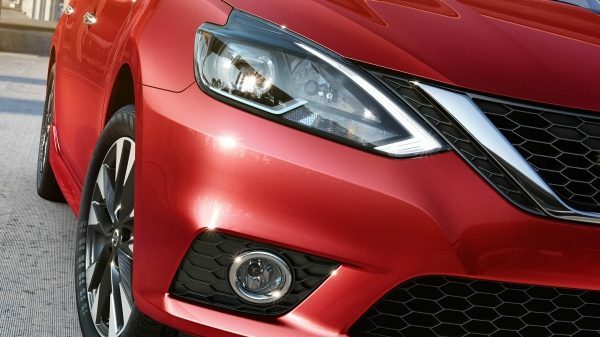 Sentra boasts newly redesigned features from new front and rear fascias to available LED headlamps and available 17" alloy wheels. The sleek, aerodynamic silhouette slips through the wind and turns heads wherever it goes. 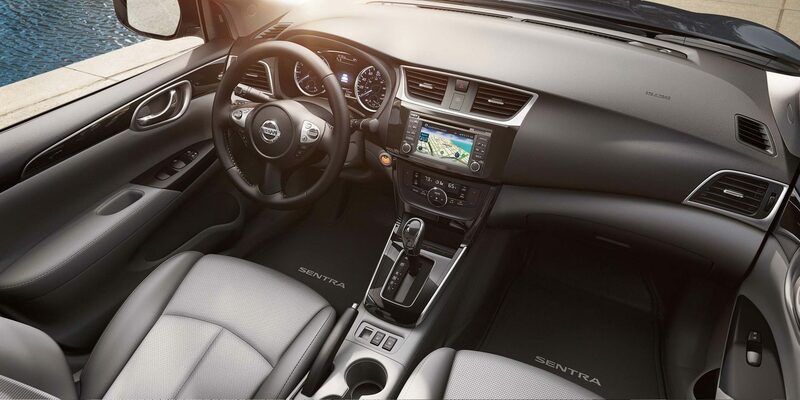 Sentra has been designed to surround you with quality. Fine soft-touch materials and unexpected available luxuries fill the cabin. Stay cosy with a leather-appointed interior for all, heated seats up front with a 6-way power option for the driver. Finished with Piano Black trim and a leather-wrapped steering wheel, it all comes together to create a rich, tactile experience. It’s amazing what a change of scenery can do. 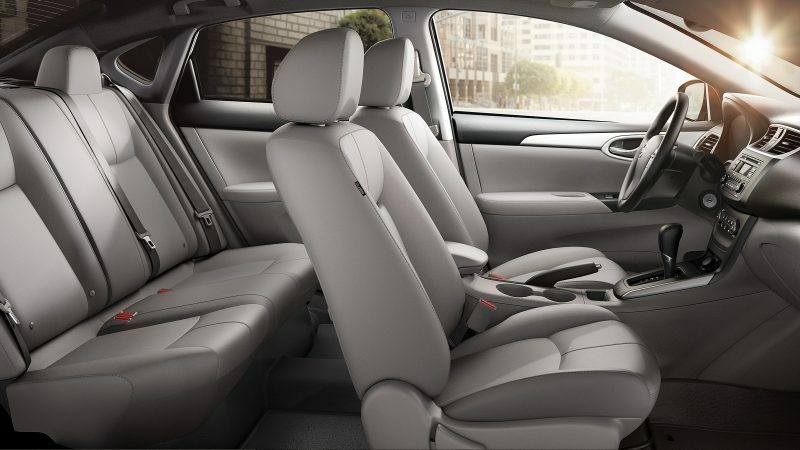 In Sentra, you have a bright, airy interior with spacious rear leg room, and surprising cargo flexibility, thanks to 60/40 split rear seats and a fold-down front passenger seat. And for an experience both premium and personalised, consider available Dual Zone Automatic Temperature Control and an 8-speaker Bose audio system. 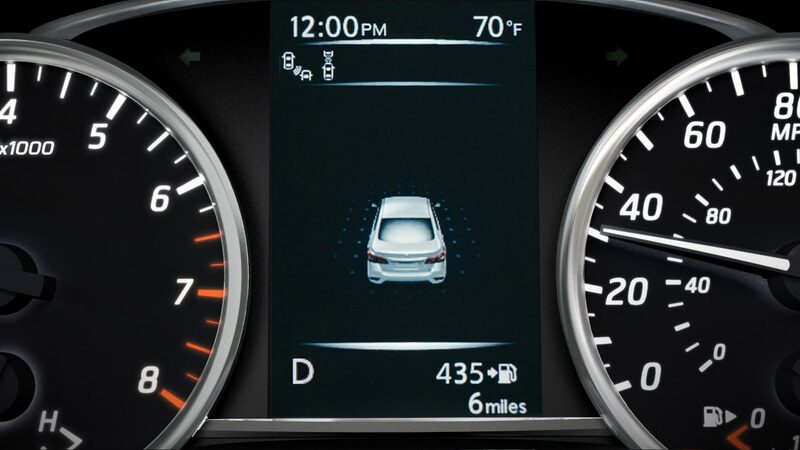 Advanced technology lets you stay connected and brings an unprecedented level of ease to Sentra. Starting with the available Advanced Drive-Assist Display, which puts it all right before your eyes on a 127mm colour display. Get real-time information from turn-by-turn directions to caller ID and safety alerts. 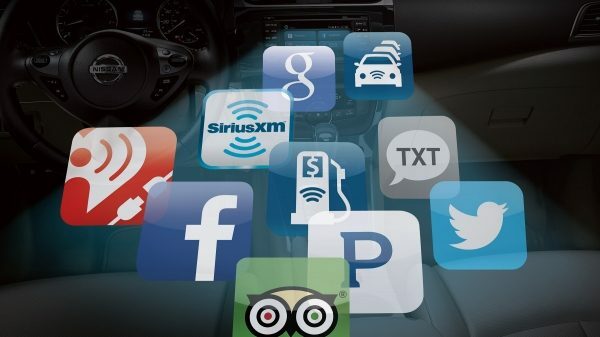 With NissanConnect, your Sentra becomes your smartphone’s best friend. Your music, social life, and more come with you, working through your compatible smartphone and your Sentra’s colour touch-screen. And with available NissanConnect Services powered by SiriusXM, you get remote access to your Sentra and more. Take it to the next level with available Intelligent Cruise Control. 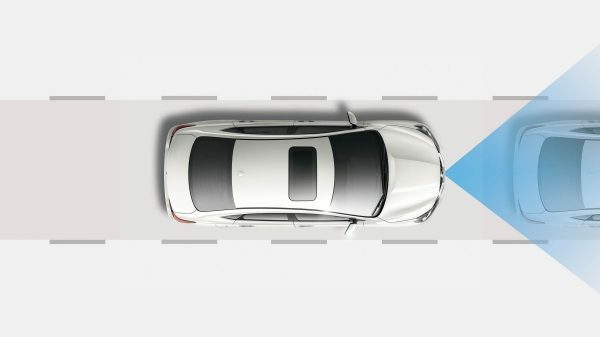 Unlike traditional systems that only maintain a set speed, Sentra’s Intelligent Cruise Control also helps keep an adjustable set distance between you and the car in front. 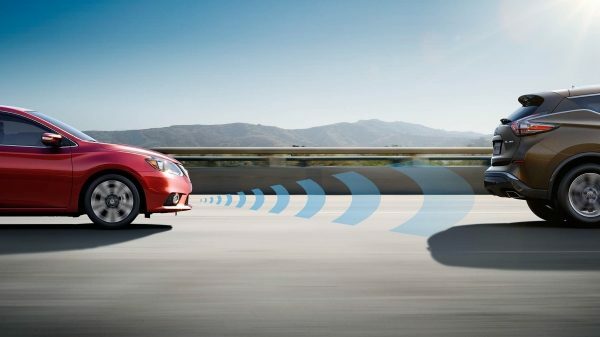 As traffic slows down or speeds up, Sentra responds accordingly. New, available Safety Shield Technologies have your back, with a suite of next-generation systems that help keep an eye out all around you, watch the flow of traffic, and even think ahead. What if extra reassurance was easy to spot? 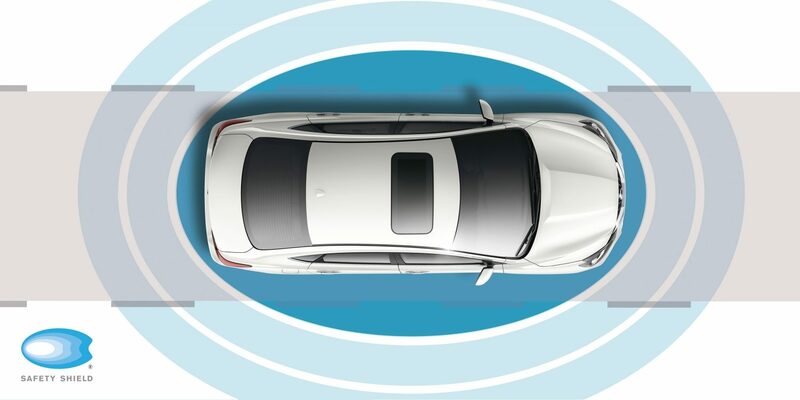 Sentra’s available Safety Shield Technologies offer you a suite of advanced systems — from Blind Spot Warning to Forward Emergency Braking to Rear Cross Traffic Alert — that help provide you with confidence on the road.